You probably have heard of how some roof or siding replacement projects go over budget, suffer from subpar installation work, or don’t get finished at all. How can you protect yourself against all this? Fortunately, a thorough review of your home improvement contract can go a long way in avoiding problems with the siding and roofing companies you work with. Detailed job description – Every contract should clearly describe the scope of the project, including a list of key personnel, what each one does, and what they’re supposed to accomplish. The change procedure can also be indicated here, and if you’re doing so, make sure it lists the people who can sign off on changes. Bill of materials – In most cases, a detailed bill of materials is included in the original estimate, including part numbers and individual item costs. 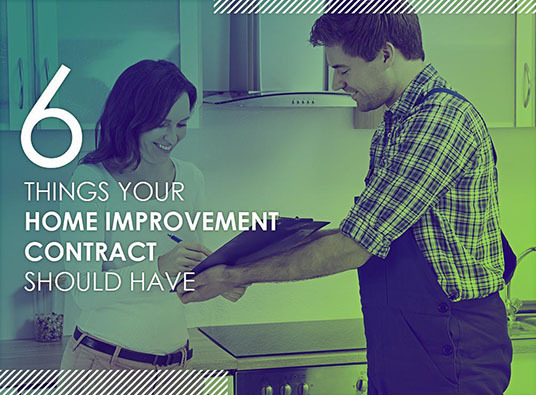 Assuming there are no revisions, the same estimate can be attached to the contract instead of repeating the same in a new list. Take time to review it and make sure the list reflects your choices. Start and completion dates – The project timeframe should be clearly indicated, but if delays can’t be avoided, you should be prepared to amend the completion dates and change it according to the aforementioned change procedure. Top roofing companies like us always stick to the timetable, unless circumstances like extreme weather prevent us from doing so. Payment and financing terms – Trustworthy contractors will never ask for a full payment on any project; a 30% downpayment is more likely, with full payment upon completion. This section should also indicate if you opted for special financing, including the payment terms, when the last payment will be, and if there are any applicable promotions. License, bond, permit, and insurance – We contractors are responsible for securing building permits and bonding, and making sure our licenses are up to date. Note that your insurance should include both liability insurance and workers’ compensation. Penalties and termination clause – This is your insurance against project delays or incomplete projects, usually compensated in the form of penalties like deductions or delayed payment. Another section should indicate the circumstances that allow you or the roofing company to terminate the contract amicably. Our expert consultants will be happy to go over each part of our no-pressure contract. To know more about how we work with our clients, call Kroll Construction today at (888) 338-6340 or fill out our contact form to schedule a convenient time for a free estimate. We serve homeowners in Michigan and Detroit.